“There are just a few days left before the deadline for nominations for the IMRF Awards 2018 on Tuesday 31 July. Nominations can be made online (http://www.imrfawards.org/nomination-form-imrf-awards) by email imrfawards@imrf.org.uk or by phone 0044 (0)1569 767405, but time is running out” says Theresa Crossley, CEO IMRF. Last year’s event attracted entries from around the world and the winners ranged from a first mate on a dry bulk tanker who jumped into the sea to lead a daring man overboard rescue in rough seas, to a migrant rescue vessel in the Mediterranean which prevented the mass drownings of more than 1,800 people over one weekend. Two volunteers who had worked tirelessly to establish and build a search and rescue (SAR) organisation from scratch in Croatia were also selected as winners, alongside a team that had created and developed an international SAR programme to train other SAR leaders in drowning prevention in countries where it’s a major cause of death. “We would like to beat the number of nominations that we received last year (nearly 50). There are undoubtedly many instances of inspiring, exceptional achievements in the world of maritime search and rescue. Act now to raise the profile of the individuals, teams or organisations who deserve recognition for their activities – nominate them for the IMRF Awards!” adds Theresa Crossley, CEO IMRF. The Awards have a range of categories, all designed to give deserving nominees – wherever they are in the world - an opportunity to be recognised for their actions, expertise and skills, when saving lives in exceptional circumstances. There’s also a category for innovation and technology, offering an important opportunity to showcase new SAR products, technologies and techniques that could help improve SAR operations and save more lives. This year’s IMRF Awards ceremony and dinner will be hosted by the Norwegian Society for Sea Rescue (RS) at their new high-tech training centre, RS Noatun near Horten in Norway, following the IMRF’s annual European Regional Meeting. The event’s hosts will also present an IMRF Local Hero Award 2018, which will be awarded to an exceptional SAR individual from Norway, nominated by the Norwegian Society for Sea Rescue. The IMRF Vladimir Maksimov Award for Lifetime Achievement in the Maritime SAR Sector. Nominations can be made online at: http://www.imrfawards.org/nomination-form-imrf-awards or by email to: imrfawards@imrf.org.uk or by phone, by calling: 0044 (0)1569 767405 for an application form. The closing date for nominations is Tuesday 31 July 2018. The IMRF Awards 2018 recognise actions that took place in the period from 01 July 2017 to 30 June 2018. Any individual or organisation anywhere in the world can be nominated for an IMRF Award. All of the submissions will be assessed by a panel of judges and the winners will be announced at an awards dinner hosted by the Norwegian Society for Sea Rescue in Norway, on Thursday 8 November 2018. The IMRF is grateful for the kind support of its sponsors. The lead sponsor for the IMRF Awards 2018 is Orolia Maritime, which is also sponsoring the Team Award for the third year in succession. Navigation safety has been the core of Orolia Maritime’s Emergency Readiness and Response heritage over the last seventy years, leveraging globally trusted safety solutions, fleet management technology and maritime legislation expertise. Orolia Maritime’s leading edge Resilient Positioning, Navigation and Timing solutions protect and augment critical GNSS dependant vessel infrastructure, while its brand portfolio includes McMurdo and Kannad beacons, Netwave’s VDR technology and the Orolia Omnicom portfolio of Communication and Tracking solutions. (Orolia Maritime - trusted for safer journeys www.orolia.com). The Individual Award is sponsored by CM Hammar, whose vision is to substantially reduce loss of life at sea by creating better solutions for safety at sea (www.cmhammar.com). The Innovation & Technology Award is sponsored by Pole Star, which has been proudly serving the maritime sector by increasing safety and security at sea for 20 years (www.polestarglobal.com). The Awards Dinner is being sponsored by Swede Ship Marine, builders of professional and exclusive boats for the most demanding customers worldwide (www.swedeship.se). The International Maritime Rescue Federation (IMRF) brings the world's maritime search and rescue organisations together in one global and growing family, to share knowledge and improve maritime SAR coordination and response so more people in distress on the sea can be saved. 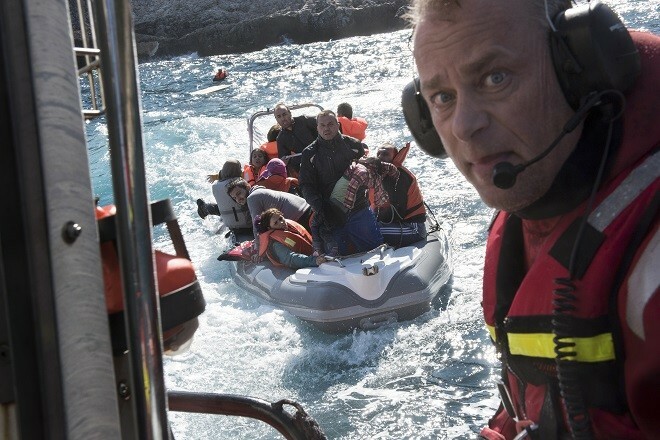 IMRF's member organisations, which include the Norwegian society for Sea Rescue (www.redningsselskapet.no), share their lifesaving ideas, technologies and experiences and freely cooperate with one another to achieve their common humanitarian aim: "Preventing loss of life in the world's waters". The International Maritime Rescue Federation was founded (as the International Lifeboat Federation) in 1924. In 1985 it was granted non-governmental consultative status with the International Maritime Organization (IMO) in recognition of the good work being undertaken and the growing need for an organisation to act as a global focal point for maritime search and rescue. In 2003 it was registered as an independent charity and in 2007 the organisation was renamed the International Maritime Rescue Federation (IMRF), reflecting the broader scope of modern maritime search and rescue activity.